If you have $500,000 of investable assets, register for your FREE download of LISA Approach & Philosophy. This document details the core beliefs, methods, and processes that guide our sophisticated portfolio creation and management. Those beliefs, methods, and processes are what have allowed us to consistently outperform market dips, corrections, and the last two crashes! Our clients enjoy a truly personalized portfolio individually managed to their objectives. With LISA, you don't have tens or hundreds of individual money managers doing it their way. You have a single in-house manager who knows your personality and goals, and manages specifically to make you happy! The most efficient way to grow wealth is to avoid 100% of the market losses. Our Clients keep more of their money in the downtimes. 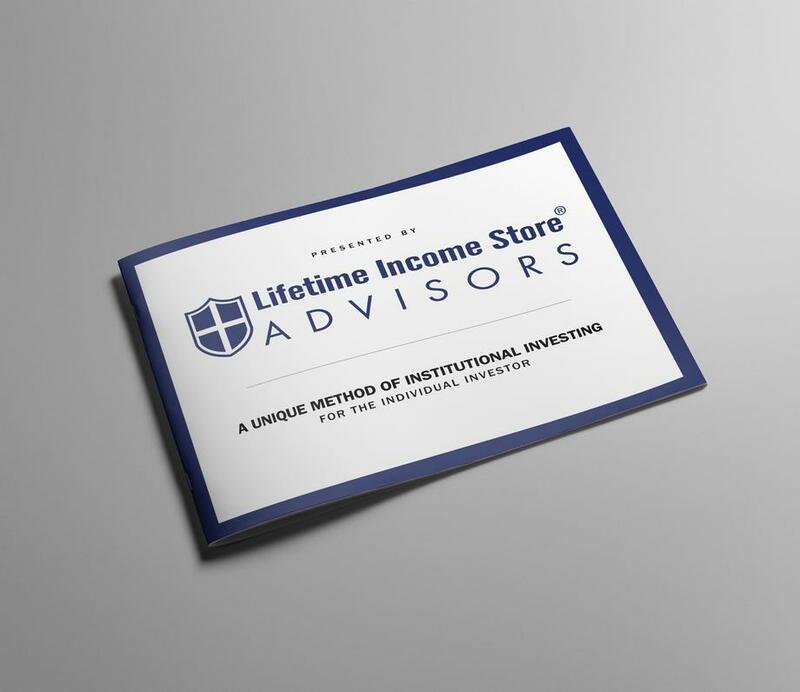 Lifetime Income Store collects information solely for it's own use via this secure site, and does not sell, or otherwise distribute, your information to any third party.